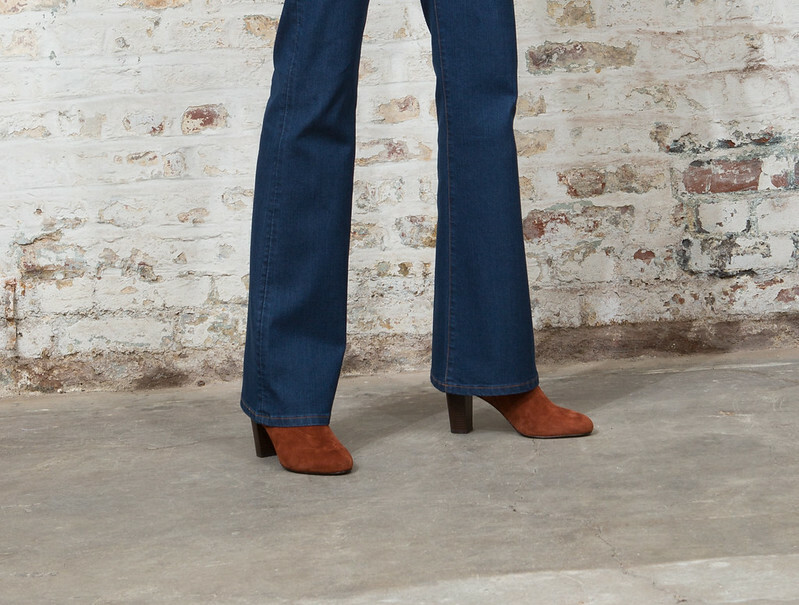 Jeans that would never let you down and that you’d enjoy wearing for several seasons to come. With Promod's new denim collection, you are guaranteed to find a style to fall in love with and covet for many decades. The new Denim Collection from Promod consists of 7 timeless silhouettes in different washes that promise to magnify your femininity, accentuate your curves and boost your personal style factor instantly. Meet Gaspard, Emile, Félix, Marius, Clément, Oscar and Lucien. A soft, stretchy skinny that can be dressed up or down to fit into any occasion. A slimming jean that provides abdominal support with fitted knees and a streamlined lower leg. It provides enough control to make your thighs look slender. OMG, JUST TAKE MY MONEY. A highwaist push up skinny that rounds up curves and magnifies buttocks. A comfy, straight legged pair that slims and stretches the silhouette. My kinda cut. Get a size smaller. The ultimate in cool with its carefully worn and torn finish. Another favorite of mine. High-waist with a fitted waistline. Straight cut with a slightly loose effect around the knee area. It's this season's pants du jour. The ultimate ultimate jean. A perfectly structured non-stretch jean that gets better with time. A classic rock n roll inspired pair that will stand the test of time. Check out the new Denim Collection at these Promod Boutique Française branches: Greenbelt 5, Power Plant Mall, SM Aura Premier, Bonifacio High Street, Gateway Mall, Robinson’s Magnolia, SM Megamall, SM North Edsa, Southmall, Trinoma, Robinson’s Ermita, Ayala Center Cebu, SM Cebu, Abreeza Davao, SM Lanang and Centrio Mall.